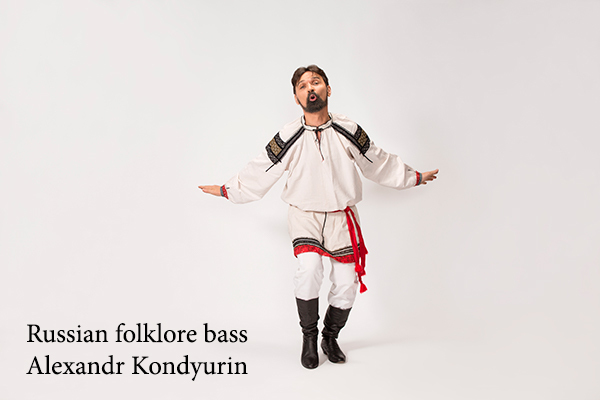 A talented Russian musician Alexandr Kondyurin graduated from the Moscow State Academy of Culture and achieved a Head of a Folk Chorus degree. Being at his first year at Academy he was proposed a position in a world famous Russian Ensemble of Folk Music of Dmitry Pokrovsky. 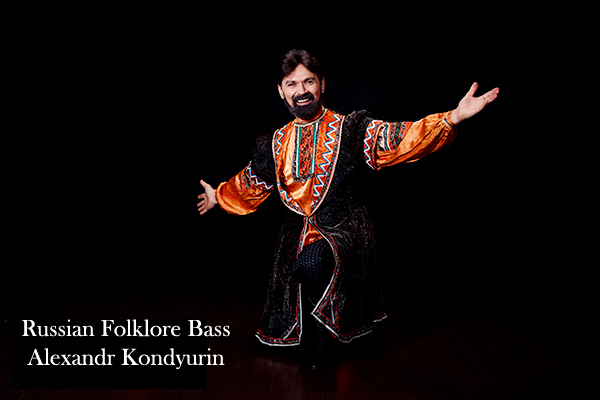 Later on, Alexander has become a part of the Karagod ensemble, State Russian Folk Ensemble of Nazarov. At the same time he made a concrete progress in his solo career. 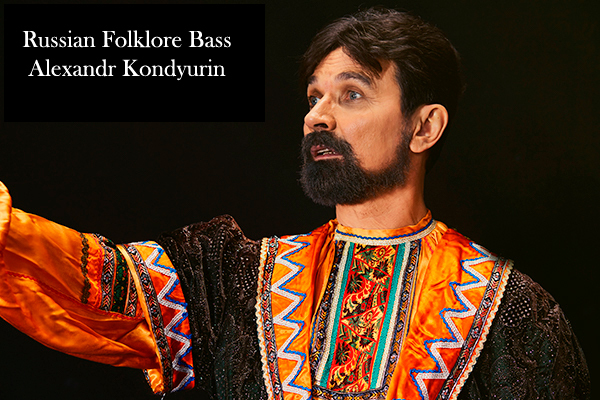 Alexander's deep Russian folklore bass with unique timbre, performance manner and variety of repertoire won the heart of the audience both in Russia and abroad. The singer is frequently invited for performances in many countries as the United States, the United Kingdom, France, Japan, Germany, Italy, Spain, Lebanon, Chile, etc. Alexander took 1st place at the folk festival in Malaysia. 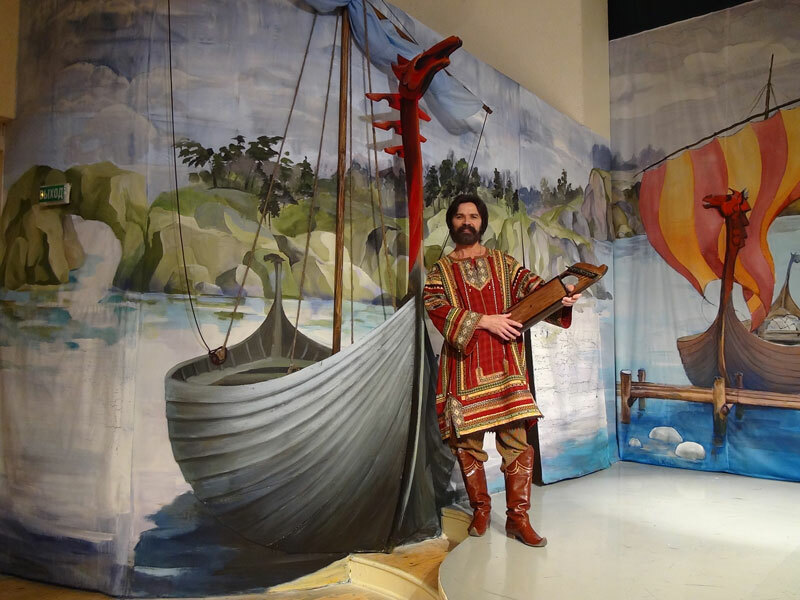 He worked on board the “Astra” ship, in the "Metropol" restaurant, Russian restaurant "Coachman" in Luxembourg, participated in the river cruise around Volga and the Yenisei. 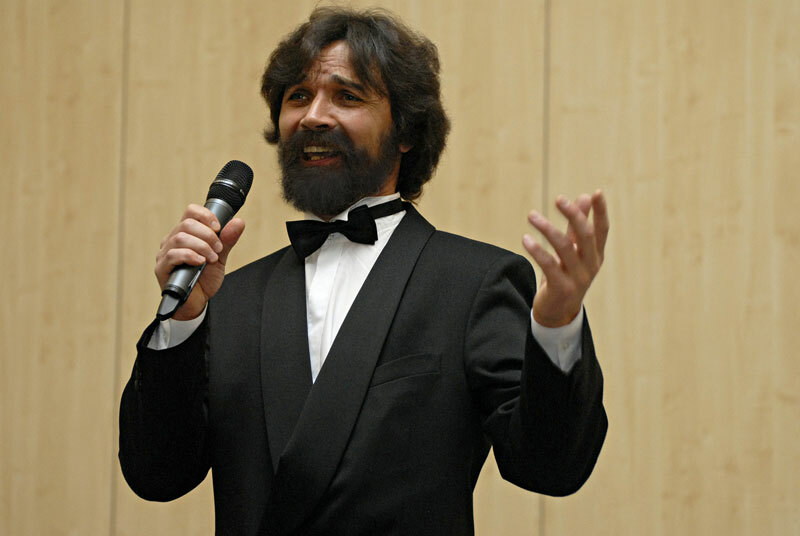 He has been working for the Ensemble of Folk Music of Tamara Smyslova of the Moscow State Music Folk Theatre “Russian Song” of NadezhdaBabkina. His collegues agree that Alexander's added new trends to the compositions giving fresh sounding to Ensemble's performances. 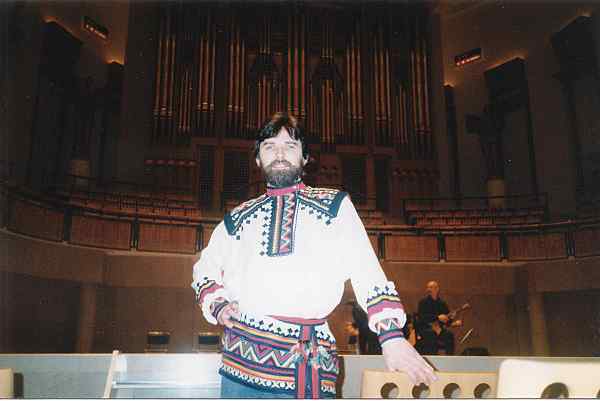 Russian chanson, Russian folklore in a concert hall no one remains indifferent. Unique concerts without microphone left behind along with an orchestra bring not only aesthetic pleasure to the audience, but also are therapeutic in their nature, as live voice accompanied with positive energy, almost magically influences all human organs. The musician plays the bayan, several types of accordions and also a dozen of russian folk instruments (i.e. the vargan, the kolyuki, the klylovidnyegusli etc.) and the synthesizer. It allows him to accompany himself on any possible occasion. 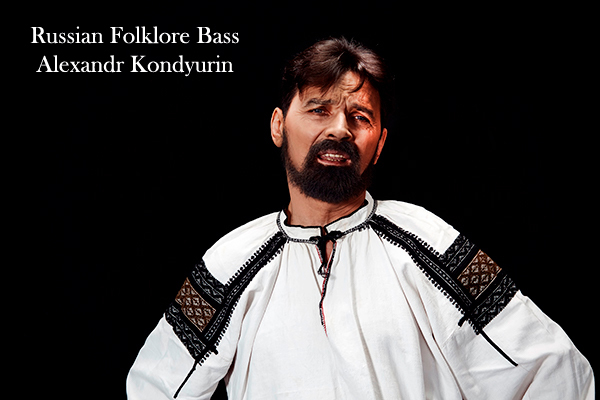 All his tracks have been written and arranged by Alexander Kondyurin as well. 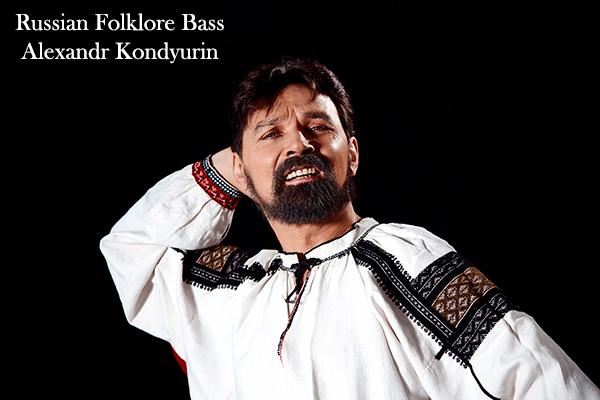 Russian bass singers: Fyodor Chaliapin, Boris Christoff, Boris Shtokolov, Yuri Morfessi, Aleksander Vedernikov, Alexander Pirogov, Paata Burchuladze, Maxim Mikhaylov. 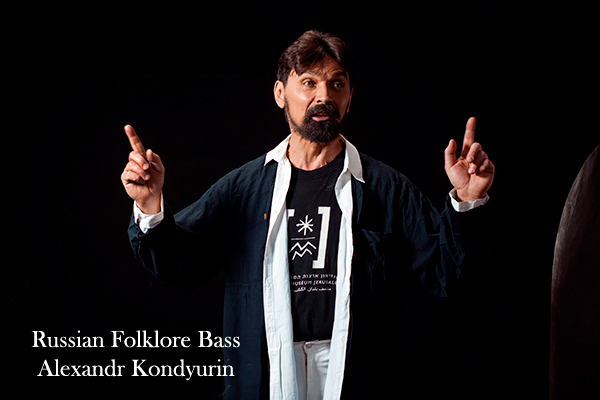 Bass singers in other countries: Marcel Journet, EzioPintsa, Nazareno de Angelis, EttoreBastianini, Otto Edelman, Fernando Corena, Tancredi Pazero, Peter Dawson, Hans-Olaf Hudemann, Franz Kelch, Alexander Kipnis, Willem Ravello, Nicola Zaccaria.